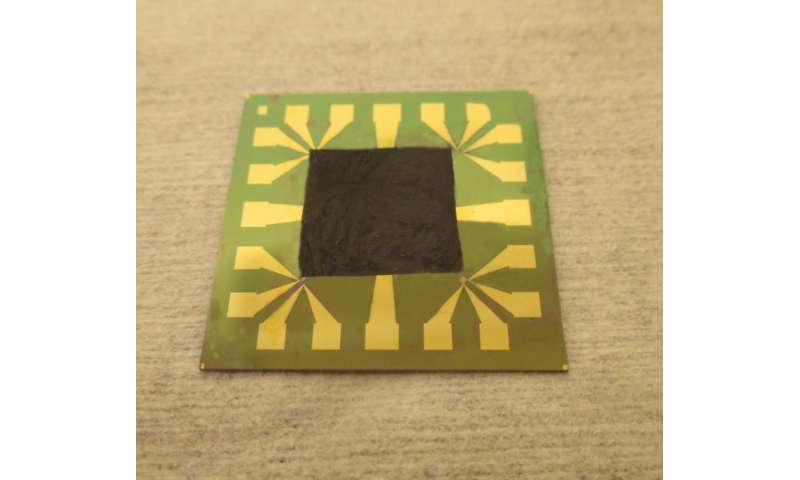 Researchers at Chalmers University of Technology have developed a method for efficiently cooling electronics using graphene-based film. The film has a thermal conductivity capacity that is four times that of copper. 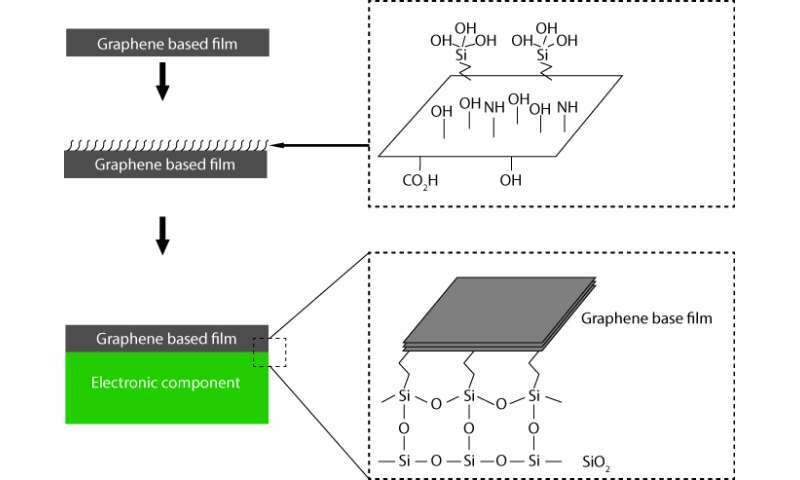 Moreover, the graphene film is attachable to electronic components made of silicon, which favours the film's performance compared to typical graphene characteristics shown in previous, similar experiments. A couple of years ago, a research team led by Johan Liu, professor at Chalmers University of Technology, were the first to show that graphene can have a cooling effect on silicon-based electronics. That was the starting point for researchers conducting research on the cooling of silicon-based electronics using graphene. "But the methods that have been in place so far have presented the researchers with problems", Johan Liu says. "It has become evident that those methods cannot be used to rid electronic devices off great amounts of heat, because they have consisted only of a few layers of thermal conductive atoms. When you try to add more layers of graphene, another problem arises, a problem with adhesiveness. After having increased the amount of layers, the graphene no longer will adhere to the surface, since the adhesion is held together only by weak van der Waals bonds." "We have now solved this problem by managing to create strong covalent bonds between the graphene film and the surface, which is an electronic component made of silicon," he continues. The stronger bonds result from so-called functionalisation of the graphene, i.e. the addition of a property-altering molecule. Having tested several different additives, the Chalmers researchers concluded that an addition of (3-Aminopropyl) triethoxysilane (APTES) molecules has the most desired effect. When heated and put through hydrolysis, it creates so-called silane bonds between the graphene and the electronic component (see picture). Moreover, functionalisation using silane coupling doubles the thermal conductivity of the graphene. The researchers have shown that the in-plane thermal conductivity of the graphene-based film, with 20 micrometer thickness, can reach a thermal conductivity value of 1600 W/mK, which is four times that of copper. "Increased thermal capacity could lead to several new applications for graphene," says Johan Liu. "One example is the integration of graphene-based film into microelectronic devices and systems, such as highly efficient Light Emitting Diodes (LEDs), lasers and radio frequency components for cooling purposes. Graphene-based film could also pave the way for faster, smaller, more energy efficient, sustainable high power electronics." The results were recently published in the renowned journal Advanced Functional Materials.